Comments: Guest blog by Kevin. I'm filling in with today's new post of a Hot Toys figure that came out sometime ago, but never the less it is time to get these photos posted. 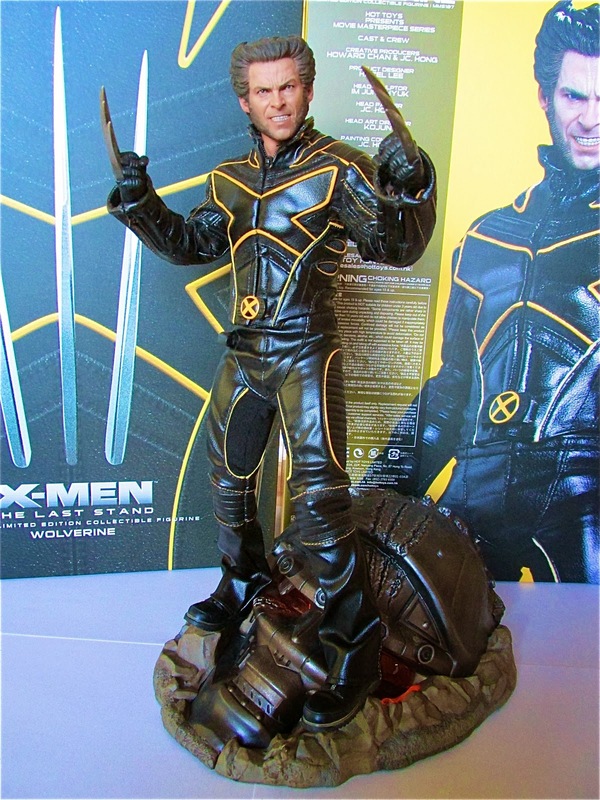 First off, this figure came out with mixed reactions when this was announced and many felt the head sculpt didn't resemble Hugh Jackman. I have to agree that this doesn't really look like Jackman even when you see this figure in person. However, the paint apps and expression give a good representation of Wolverine...not so much of Jackman as the character. 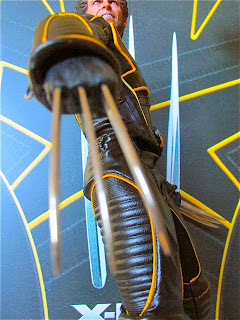 Needless to say, this figure is fun to pose and the adamantium claws are made of real metal, giving this a whole other level of detail that Hot Toys is known for. The costume is made of leather and the yellow piping also give that extra flair. The Sentinel base also helps to make this figure even more worthwhile. Even though this head was only teased for a split second in the movie, the sculpting and paint apps really shines through, and the extra claw scratches gives off an even more battle damaged look. 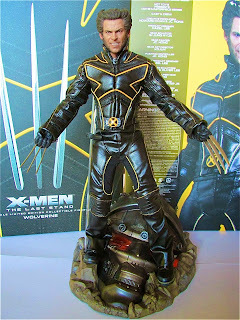 It comes with a clear pole and clamp that attaches to the base where Wolverine can be attached to. Only problem is the pole doesn't really fit on the base well and this causes it to be unstable at times. 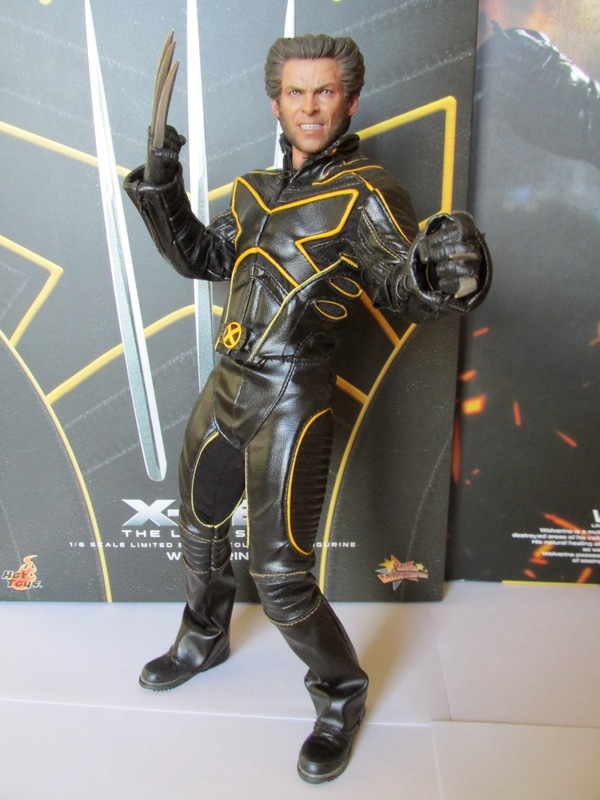 X-Men: The Last Stand wasn't the best movie for our favorite band of mutants but at least this figure from Hot Toys can ease some of those painful memories of that film. In the meantime, let's get ready for those slew of new X-Men movies coming out...and all those X-Men Hot Toys that will leave my bank account wishing it had Wolverine's heal factor.